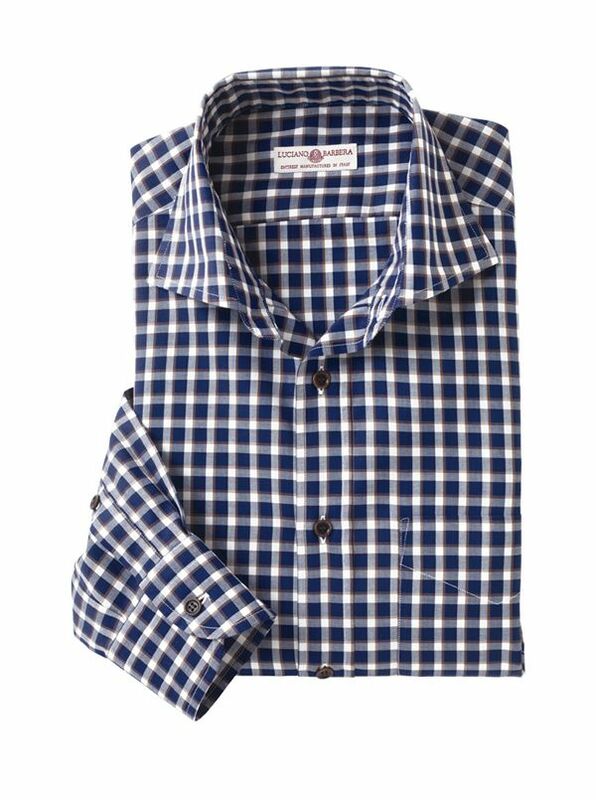 Check Sport Shirt by Luciano Barbera flawlessly tailored in Italy of fine 100% cotton woven in Italy. With spread collar long sleeves single pocket. Luciano Barbera celebrates the intelligent spirit of the individual with a collection combining traditional values with modern fabrications. Always Entirely Manufactured in Italy from first to final stitch each garment is destined to become a personal extension of the person who wears it.